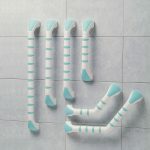 This Inflatable Bath Cushion will lower you down and raise you back up again – all at the touch of a button. 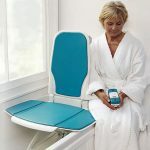 The Inflatable Bathing Cushion is ideal if you have difficulty getting in and out of the bath. 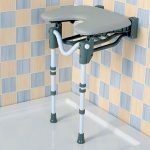 It has a built in inflatable back rest which automatically inflates with the cushion to provide comfort and support. 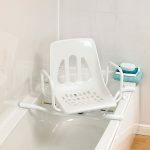 Whilst at the bottom of the bath you can choose whether to keep some air in the cushion to provide a supportive backrest, or release it all to lie right back for a completely natural bath. 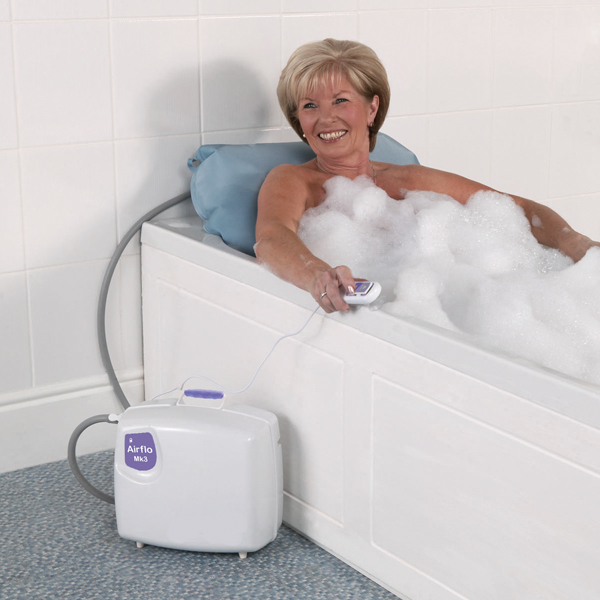 This Inflatable Bath Cushion from Mangar includes the Airflo MK3 compressor.